Highlights of the SERTUC rally in london. Just a quick note to say congratulations to all on a fantastic and historic day yesterday. 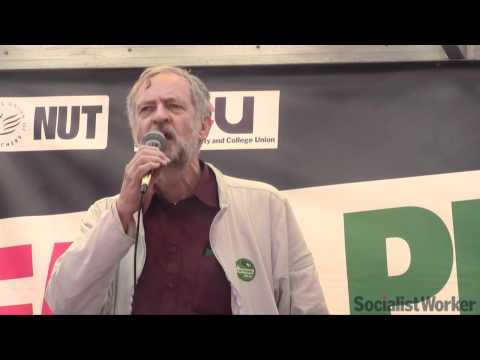 Reports show very strong support for the strike in colleges and universities, and big turnouts for the local rallies where attendance exceeded all expectations – 4,000 in Bradford, 15,000 in Birmingham, 10,000 Leeds, 30,000 in Manchester and up to 50,000 in London. The list of monster rallies could go on. Schools, offices, colleges and universities were either closed or virtually deserted. 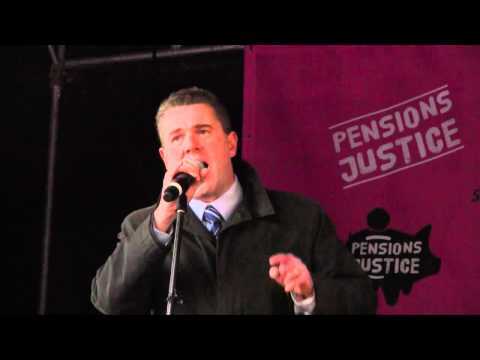 There were also walkouts by some electricians and construction workers at power stations and elsewhere, prison officers at Wakefield, and in places firefighters joined the rallies angry at not being included in the action. Wherever the question of escalation and ‘name the day’ were raised, they got a fantastic reception because they match the huge anger that exists in the class, especially after the kick in the gut delivered by Osborne the day before the strike. Tomorrow’s NEC will be considering the outcome from yesterday’s strike and a report from the TPS meeting taking place today. We did very well yesterday in getting a number of UCU Left supporters onto the various local and regional platforms, partly a testament to the roles we play in UCU but also to the prominence UCU, and UCU Left, has had within the labour movement in taking a lead in the fight over pensions. The UCU Left leaflets and pamphlets also went down very well. Some supporters have now sold dozens of “Another education is possible” and in the wake of yesterday’s events we should re-double our efforts to get this very good publication into the hands of UCU members and other education workers’ and students’ hands as well. In the wake of yesterday’s historic and transformative success what about organising ‘What Next’ meetings in your college or university jointly with other campus unions, students and others? What about using the day as a springboard for a campaign against the HE White Paper where this has not got off the ground yet, involving students, links to campaigns emerging among academics, and others, perhaps a public meeting, teach-ins and so on?